Jim is a CERTIFIED FINANCIAL PLANNER™ Professional (CFP®), and Kansas City's Endorsed Local Provider (ELP) for Long Term Care for the nationally syndicated radio talk show host, Dave Ramsey. Jim had the distinction of being one of the longest serving ELP's in the investment program. Jim is also the original ELP for the entire Kansas City metro area. Due to his long and distinguished service, he was invited to be a charter member of the Dave Ramsey Investing Council in 2011 and served in that role until 2017. 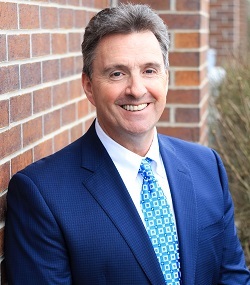 In addition, he has been recognized for six years, as a Kansas City Five-Star Wealth Manager and featured in KC Magazine, KC Business magazine, and 435 magazine. His area of focus includes comprehensive financial life planning, tax reduction strategies and risk management. Jim is also a member of the Board of Directors for Creative Financial Designs, Inc., our Registered Investment Advisor, and a member of the Financial Planning Association (FPA). Jim is passionate about overseeing Lighthouse Financial Strategies' mission in helping clients achieve their goals and financial peace. Jim works alongside our clients to ensure the strategies our team develops continue to align with their short and long-term goals. Jim was born and raised in Ohio. He has made Kansas City his home since 1987, along with his wife Kay and daughters Kayla and Katrina. In his leisure time, he enjoys golf, skiing, traveling, and spending time with his family. Brett is an experienced Financial Advisor serving clients in Kansas City and around the country. 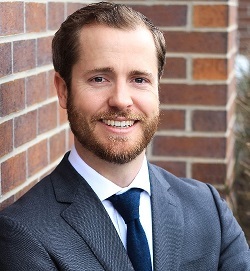 He received a Bachelor's Degree in Finance from Kansas State University and has been recognized as a 5 Star Wealth Manager awarded by Five Star Professional. Prior to joining Lighthouse Financial Strategies Brett worked in private tax accounting as well as operating his own advisory practice. His area of focus includes comprehensive financial planning, tax management strategies and risk management. Brett strongly believes in the importance of aligning the investment strategies with each client's financial goals and objectives. Brett grew up in the Kansas City area and currently resides in Olathe, Kansas. Brett and his wife Brittany have three girls Ellie, Savannah and Brooklyn. In his free time he enjoys watching Ellie play soccer, fishing, golfing and spending time at the Lake of the Ozarks with family. 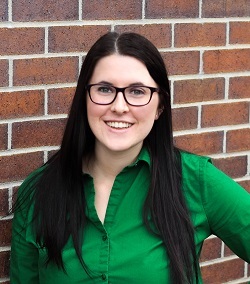 Melissa was born and raised in Lincoln, Nebraska. She graduated from the University of Nebraska-Lincoln with a Bachelor of Science degree in Finance. Melissa also completed minors in Accounting and Communication. 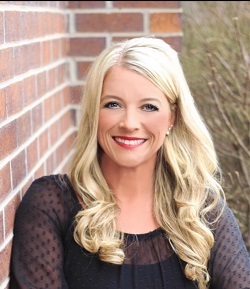 Prior to joining Lighthouse Financial Strategies, Melissa worked for JP Morgan as a Retirement Plan Specialist. Melissa's main responsibilities with Lighthouse Financial Strategies include assisting with retirement planning and account management. She currently holds her Series 7 and 66 license. Melissa prides herself on providing outstanding customer service for our clients. In her free time Melissa enjoys spending time with her family and friends, baking, and exploring the world. Weston grew up on a family dairy farm in rural Kansas. He graduated from Kansas State University with a Bachelor of Science in Agricultural Economics with a focus in accounting. 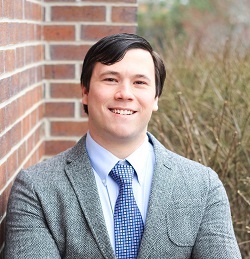 Prior to joining Lighthouse Financial Strategies, Weston worked as a financial analyst for a dairy processing company. Weston values the importance of assisting clients in establishing and setting goals. He currently holds his Series 7 and 66 license. In his free time, Weston enjoys playing sports, cooking, traveling, and seeing friends and family back in the small town he grew up in. Tracy is a native of California. She relocated to the Kansas City area with her family at the age of ten. Tracy is a graduate of the University of Kansas, where she earned her Bachelor of General Studies. Following graduation, Tracy began a successful eleven year career with Coca Cola Bottling Company of Mid-America as an Area Sales Manager. 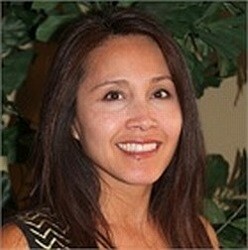 Recruited by Jim to join his team, Tracy has been with Lighthouse Financial Strategies since 2007. Tracy's main responsibilities with Lighthouse Financial Strategies include marketing, assisting clients with life insurance policies and Medicare options including, Medicare Supplement Insurance and Medicare Advantage Plans. Tracy currently holds her Kansas Life and Health License and is licensed in Kansas, Missouri, and Colorado. spending time with her daughter, son,and her boxer Lucy. Lynne was born and raised in the Kansas City Area. Her professional background has been in Business and Accounting. She previously worked in the Accounting departments for a local travel company and a wholesale popcorn manufacturing company. 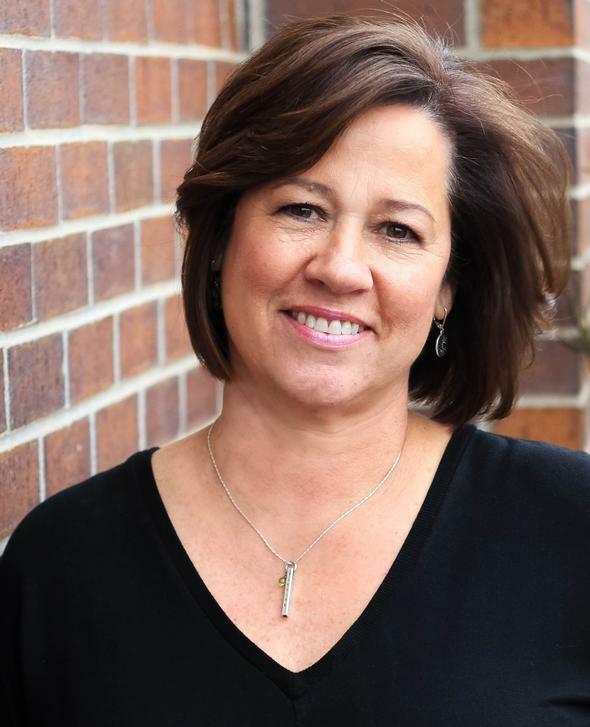 Lynne's main responsibilities at Lighthouse Financial Strategies include asset movement, disbursements of assets, marketing and coordinating client events. In her free time Lynne enjoys spending time with her three children, Haley, Hayden, and Holden, walking and cooking. Kay resides in Lenexa, Kansas with Jim and their two daughters. She has been a part of Lighthouse Financial Strategies since its inception. She handes payroll and benefits, and other financial matters. Kay received a Bachelor of Science degree from the University of Kansas in Accounting and Business Administration. She has an extensive corporate accounting background, initially doing investment accounting at Investors Fiduciary Trust Company. Kay is bilingual and familiar with two other languages. She is also detail-oriented which has been instrumental to her various project undertakings.